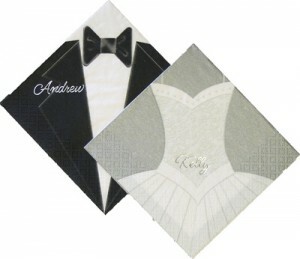 Personalized wedding napkins for every part of your wedding including cocktail napkins, cake napkins, dinner napkins, and guest towels. Wedding napkins personalized with a design, photo, or monogram and the bride and grooms names and wedding date will create a wonderful accent to your wedding reception decor. Personalized napkins, made of premium paper with the look and feel of more expensive cloth napkins, make unique favors as keepsakes that can be added to scrapbooks or memory albums as a reminder of your special day. 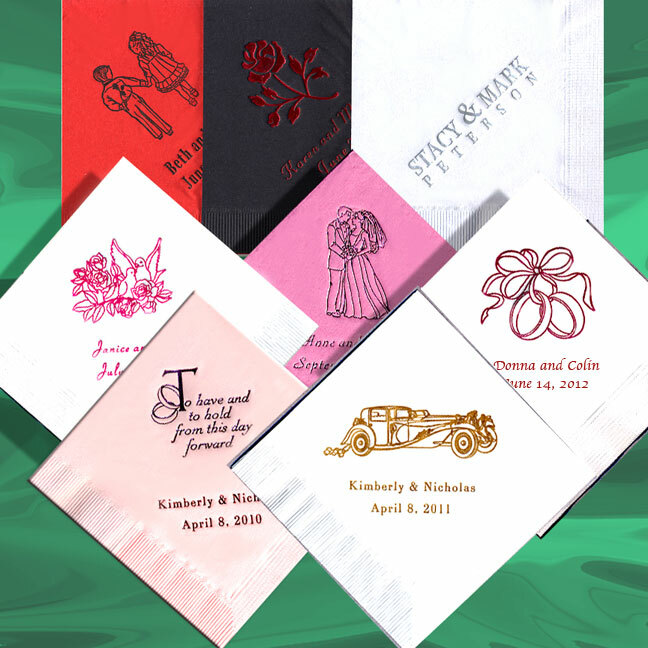 Custom printed wedding napkins can be personalized with many creative options including designs, single and multi-letter monogram styles, block and script letter styles, and ink or foil imprint colors to express your thoughts and feelings to your guests on your wedding day. 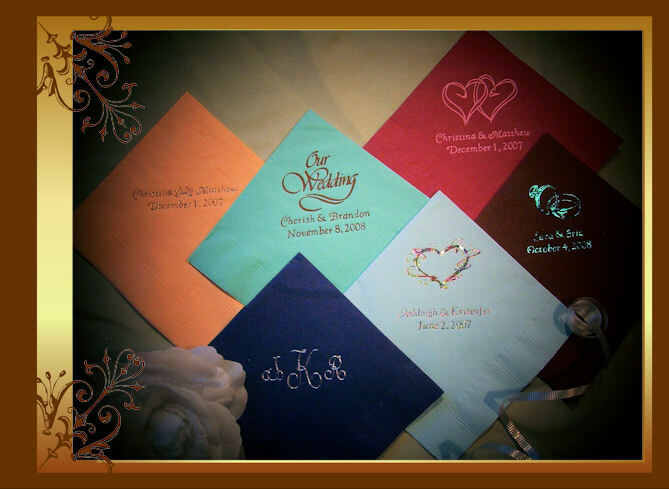 With a broad range of popular colors available, you will find napkin colors that are the perfect compliment your wedding decor. For everything from cocktail hour to cake serving, paper napkins are available in a variety of sizes to accommodate every function of your wedding reception. This entry was posted in Wedding Advice & Tips, Wedding Decor, Wedding Details, Wedding Planning and tagged bridal, Layne Corban, Wedding Day, Wedding Details, Wedding Favors, Wedding Planning. Bookmark the permalink.